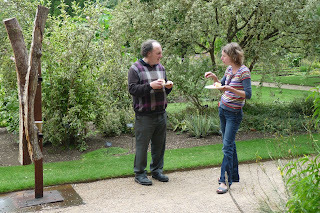 Day 4 was another productive day at the Botanical Gardens. In the morning we divided up into groups, with each of us tackling particular tasks. Robin, Leon and myself went to the glasshouses to do some photography. 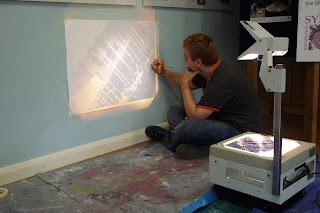 Leon became particularly interested in photographing water and went on to develop a drawing from one of his images using the overhead projector to enlarge it. Robin looked at ivy and trailing plants. There are many interesting examples in the glasshouses. Meanwhile Maureen was working on continuous line drawings with Emma. 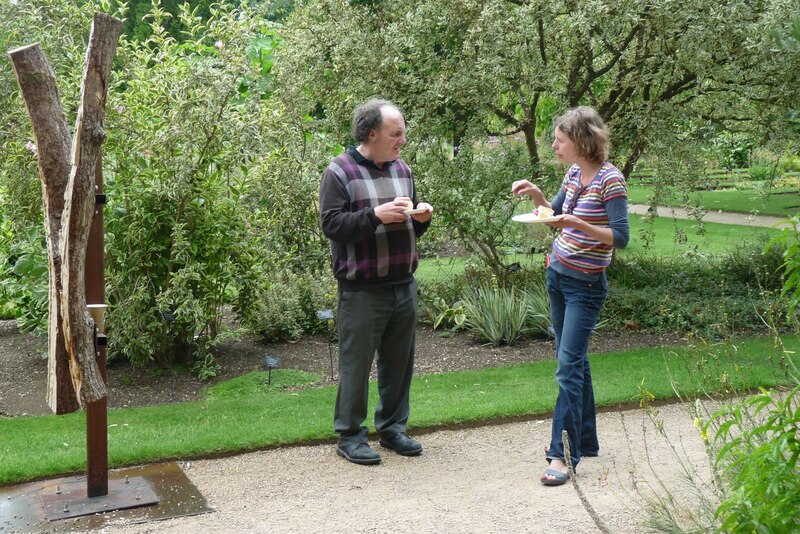 They were looking at some of the interesting leaves and pieces of bark that Maureen had collected the previous day. Emma explained how to create drawings by keeping the pencil on the paper without taking it off, making a continuous line. The artist, Paul Klee, called this "taking a line for a walk". 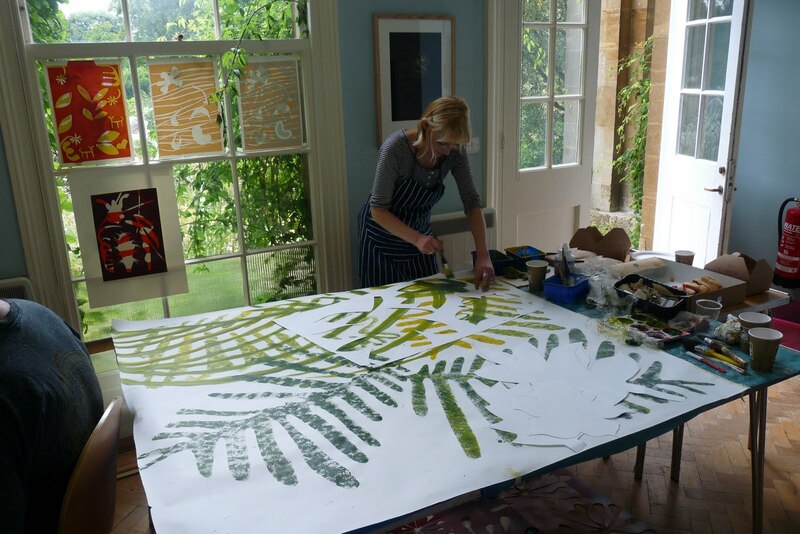 The line drawings Maureen created using this process are delicate and carefully observed. 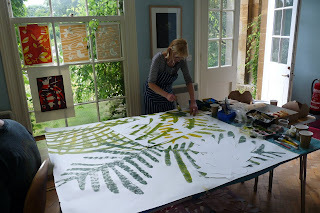 Lucy set herself a new challenge by working on a large scale painting. 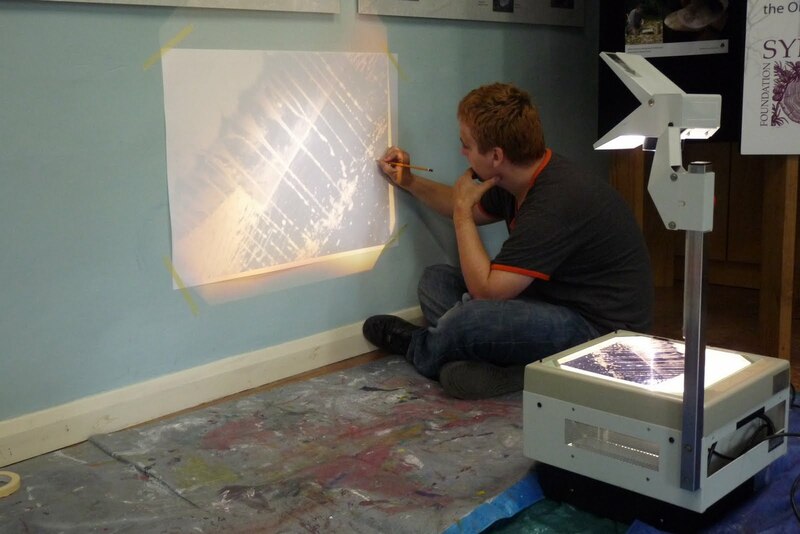 This was an ambitious task, both in scale and in use of a new process. 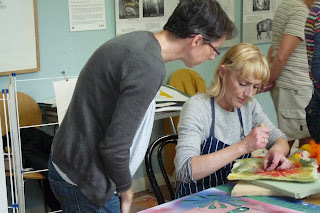 After a while she felt that painting didn't come very naturally and returned to a process which she is now very comfortable with, making a stencil and continuing the piece of work by sponging paint onto the paper through the stencil. 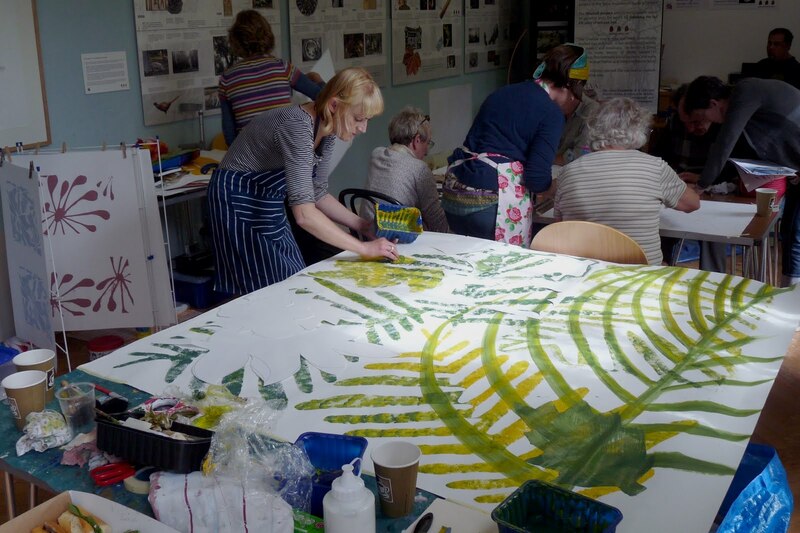 There was an atmosphere of concentration in the room during the afternoon as the group continued working with drawing, painting and print.